Blimey! You have been banished and striped of everything but a few shillings and table scraps. Undaunted, you journey to a strange land to reinvent yourself and reclaim your honour. Will you farm the earth, fight as knights or finagle your own feudums? 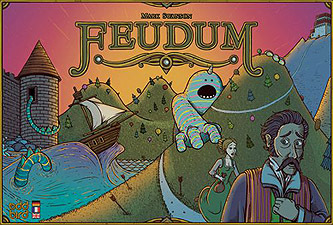 Feudums is a deeply nuanced game featuring hand optimization, resource management and nifty economic ecosystem for 2-5 players.